See how this frustrated architect makes a living by drawing signage for private and public vehicles. “Artist ang may-ari nito (An artist owns this place),” said Philip Rosales, looking with interest at a jeepney wall mosaic, with hand-painted signs of popular destinations like “Quiapo Ilalim, (Quiapo underpass)" and classic witticisms like “Kalimutan ang lahat, huwag lang ang bayad! (Forget everything but the payment! ),” which decorated the restaurant where he was interviewed for this story. But Rosales found the daily grind did not suit him. He found other ways to make a living as an artist-for-hire in the late 1980s. A night’s work painting backdrop at the Cultural Center of the Philippines, or painting artwork for one of the major malls, already earned him the equivalent of a week’s pay at his old job. And he eventually decided to freelance full-time, offering services like painting, silk-screening, and calligraphy at shops along Recto Avenue. He was earning money and, best of all, he was his own boss and controlled his time. But when digital printing came into play, the work dried up. “Nung sumikat ‘yung computer, mga 75% ang nawala sa income namin (When computers became popular, we lost around 75% of our income),” he said. Shops which could afford computers took on digital printing to survive. The others closed down. “Mahal na kasi ang upa, at mahina na ang art and sign (Rent was already expensive, and demand for art and sign then was dwindling),” said Rosales. Now 54-years-old, and with a wife and children to support (his sixth and youngest child is now in kindergarten, and his two eldest are both done with high school and are now working), Rosales treats every day as an opportunity waiting to happen. 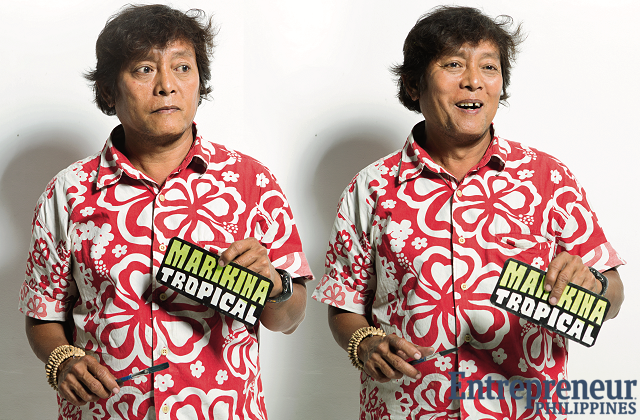 As enterprising as ever, he decided to make something from nothing: he collected used Styrofoam and created Christmas and Valentine’s Day décor which he sells at Divisoria. But his bread and butter is making signage for public and private vehicles. A logistics company, in fact, has contracted out jobs to Rosales for the past 17 years. But he also takes on every commercial art job he gets his hands on, from painting whimsical murals for residences to drafting affordable homes for Habitat for Humanity. 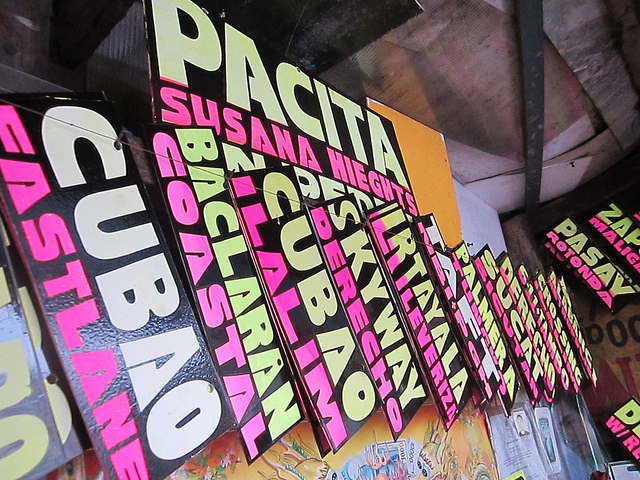 Known for his pulido (polished) work, Rosales was also invited to take part in “Project Para Boss,” a movement to help sustain the craft of local signage painting by crafts shop Pop Junk Love. He also teaches drawing. His brothers-in-law, who are also in the business, call on him when a job gets too complicated for them, such as when Lourdes Elementary School asked for a Marian portrait that did not resemble an “aswang,” or a vampire-like witch ghoul. “Kung artist ka talaga—na in-born talaga, talent mo talaga ‘yan—kahit ano kaya mo (If you’re really an artist—you’re born with it, it’s really your talent—then you can do anything),” said Rosales. More than talent, Rosales has been able to be his own boss because he has diskarte (strategy). Rain or shine, he is always out looking for raket (business). “Kung hindi ka lalabas ng bahay, hindi ka kikita (If you won’t get out of the house, you won’t earn money),” Rosales said.